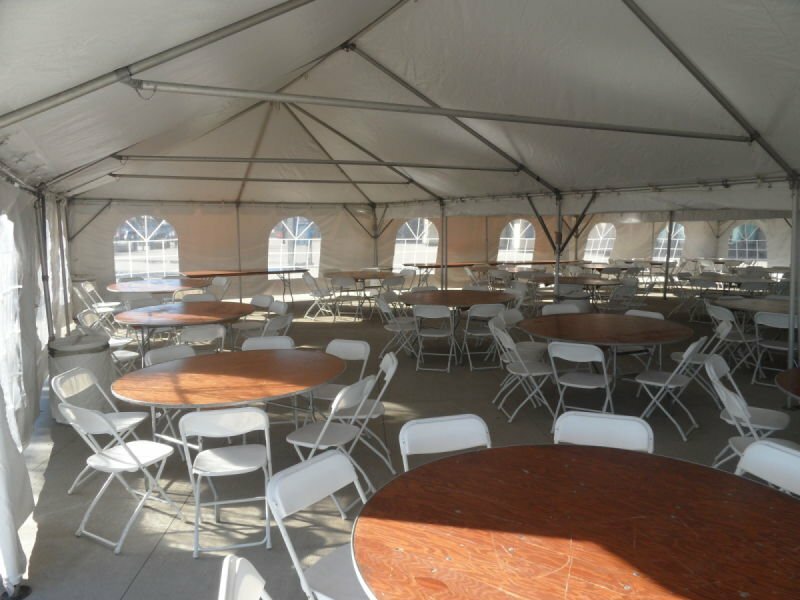 A variety of table and chair options are available for rental. Our standard rental chair is a brown metal chair with a plastic seat and back. The white rental chair is an aluminum frame with a white plastic back and plastic seat. The "luxury" chair is a white resin chair with a white padded seat. Click here for available products and pricing, or click here for photos of our tables and chairs.